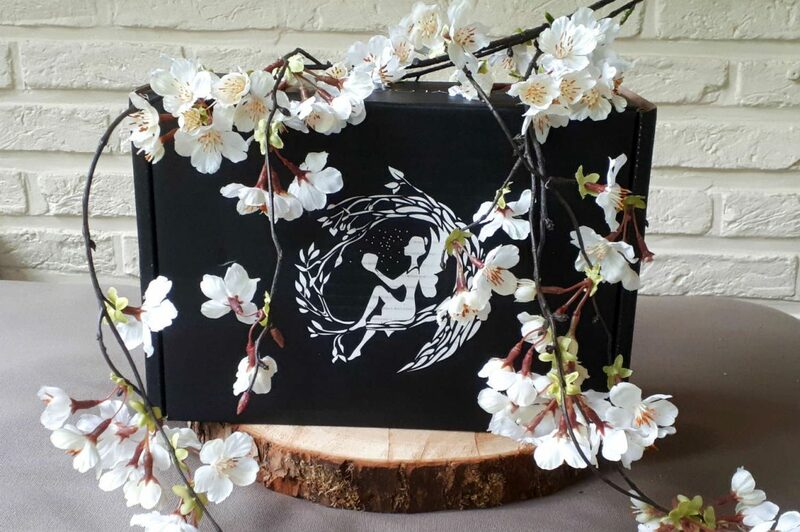 Another month, another Fairyloot box to dive into! I love unboxings and since I had so much fun writing the May and June unboxings, I decided to make it a monthly habit. 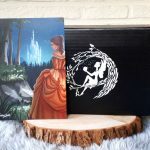 The theme for the Fairyloot July 2018 box was “The Power Within”. What did I find inside? I’ll show you! 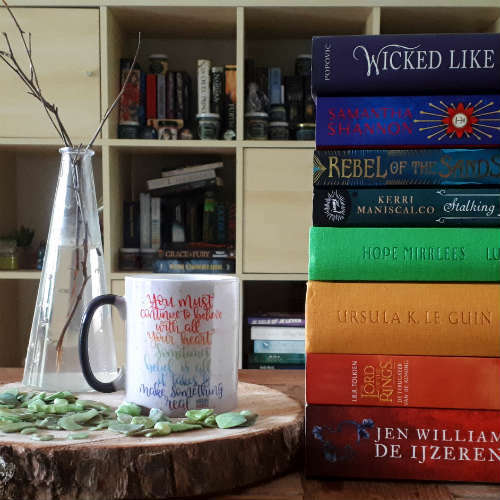 We start of with one of the coolest items Fairyloot has ever included in their boxes (at least since I first subscribed): a magical mug! It was designed by Little Inkling Designs and features a quote from the Falling Kingdoms. Unfortunately, we’ve had a heatwave here, so I haven’t been able to properly enjoy my new mug with a cup of tea. But for this photoshoot I added some hot water to show you the design! Next up, we have another item brought to us by Geeky Clean, who are often included in these boxes. 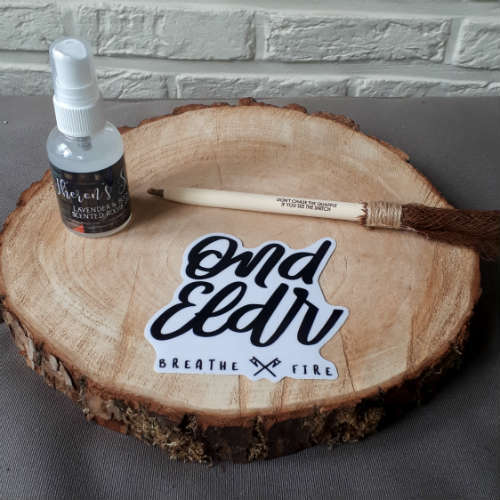 This time, it’s a room spray inspired by Snow Like Ashes. It’s called Theron’s Study (who is that? I haven’t read this book yet…) and the scent description says it’s lavender and books. To be honest, I don’t recognise these scents in the room spray, but it still smells really good. Fresher and less chemical than your average spray you’d buy in the supermarket. One of the books I’m looking forward to reading, is Sky in the Deep. I know it’s about Vikings and there’s a line “Ond Eldr” in the book, which means “Breathe Fire”. Reverie and Ink has designed a vinyl sticker with this quote that’s perfect to put on a laptop. It’s a rather simple design, which I love! It doesn’t always have to be flashy, right? In previous boxes we got a notebook and a reading diary, this time we received a pen. And not just any pen, but one in the shape of a Quidditch broom! Because even after all this time (see what I did there? ), Harry Potter is still enormously popular. It features a quote by J.K. Rowling that says “Don’t chase the quaffle if you see the snitch”. Which is good advice! Now it’s time for a little interlude. 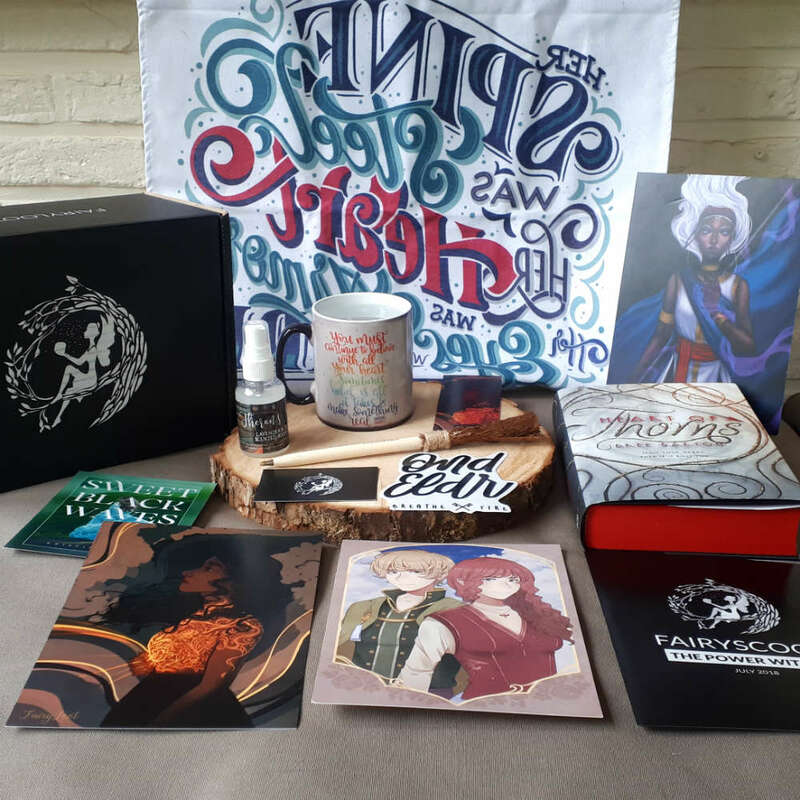 The week before our boxes were shipped, we received an email from the Fairyloot team: one of the items had been misprinted. They apologized and promised we’d receive a new and corrected version of this item in the near future, but for now, we’d get this “wrong” item. So what was this mysterious item, you ask? 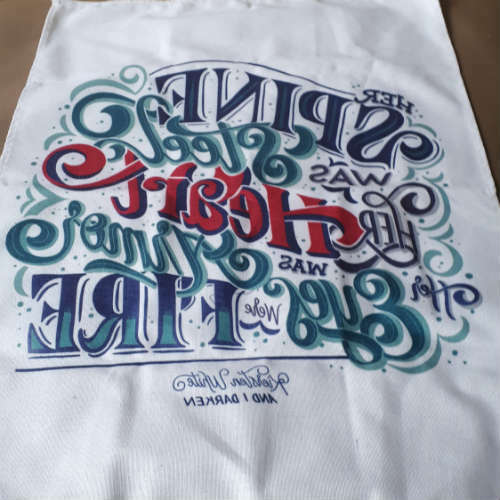 A tea towel, designed by KDP Letters. It’s supposed to read “Her spine was steel, her heart was armour, her eyes were fire”, which is a quote from And I Darken. As you can, the print was mirrored horizontally, but it’s still usable of course. 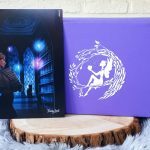 But props to Fairyloot for sending us a new version soon! Next up is a gorgeous art print by Diana Worak. 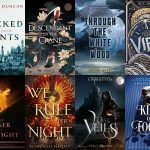 Children of Blood and Bone was one of the biggest releases of the year so far and I’ve heard so many good things about it. Even though I have to admit I haven’t read it yet! This print features Zélie, the main character of this book. She looks fierce and I’ll have to move this book higher up my TBR list. 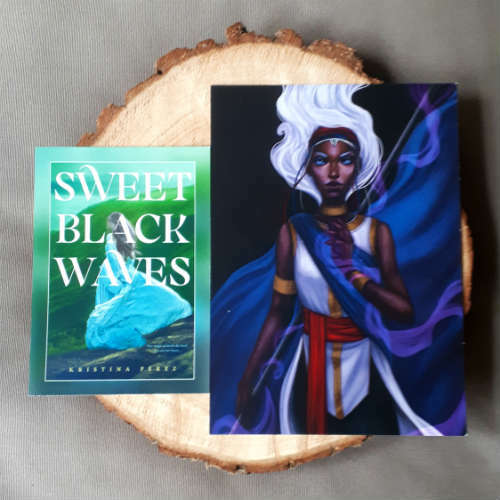 There was also a Sweet Black Waves postcard, with digital access to a sampler for this book. 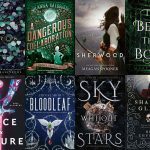 I haven’t checked it out yet, but this book was on my radar for July, so I’ll try the sampler and see if I have to add it to my shopping list. And now we get to the most important part of the box… the book! 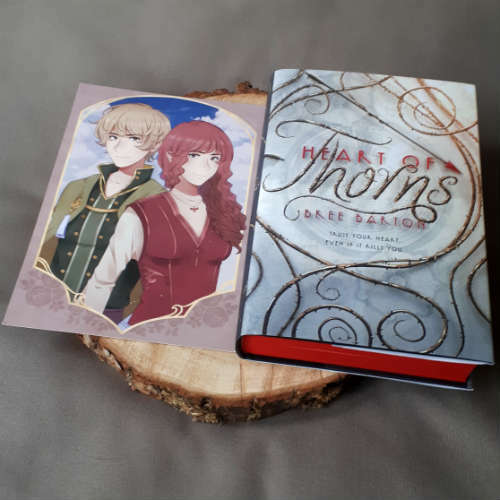 It’s Heart of Thorns by Bree Barton, a fantasy story about a world where there are women who can manipulate flesh, bones, breath and blood. 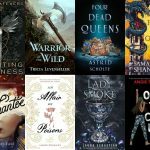 Main character Mia is forced to marry the prince, but on the day of her wedding, she discovers she’s one of the feared women with this dangerous type of magic. The book is signed by the author and comes with red sprayed edges. Look how gorgeous it is! And as usual, there’s also a letter from the author, with character artwork on the back. This artwork is by Noverantale. I’m currently reading this book and really enjoying it so far, you can expect a review in the near future (probably next week)! 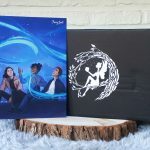 What was your favourite item of the Fairyloot July 2018 box? Mine was definitely the mug, but I also love the room spray and the book of course.